We offer minimally invasive, conservative restoration techniques to preserve your smile for years to come. With a focus on prevention dentistry, Newmarket families like yours know that Aevitas Dentistry delivers minimally invasive, conservative restorations. In an effort to reduce the number of treatment appointments that our patients need, we focus on quality, long-lasting techniques that can be maintained as long as possible. Silver fillings can corrode over time, causing the tooth to break apart. Our dentists recommend minimally invasive white fillings that bond closely with your enamel and resemble its natural coloration. Comfortable oral surgery options are just what you need when you’re experiencing wisdom tooth pain. 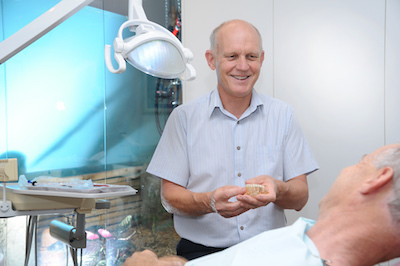 We complete most wisdom tooth treatments here in our Newmarket clinic – even if they are impacted. An abscessed tooth can quickly fracture apart or spread infection without a root canal. If the tooth is severely infected, we may recommend antibiotics before beginning your treatment. Most endodontic procedures take two to three visits to complete, but the cost is always the same. Ceramic crowns and bridges make it possible to repair areas where teeth have fractured or been removed. They can also be anchored on top of dental implants. Implants provide a lifelong replacement for your missing teeth. They can support both individual crowns as well as bridges, depending on how many teeth need to be restored. Plus, they look and feel closer to natural teeth than dentures do. If you’re not ready to get implants just yet, dentures can provide you with the chance to replace all of your teeth at one time, as affordably as possible. If you have an existing treatment plan from another dentist and would like a second opinion about your care needs, our Newmarket clinic is happy to oblige. Contact us today to book your initial consultation.